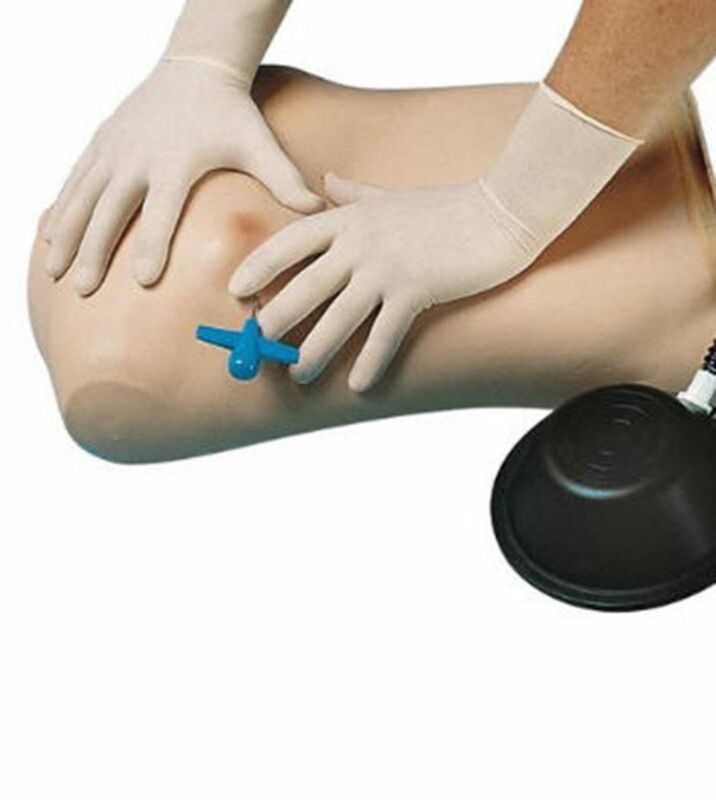 Recommended by EMT (Emergency Medical Training) instructors, this model permits instruction of the delicate procedure for successfully managing chest wounds in which a collapsed lung interferes with the victim's respiration and blood flow. The model accepts needle and thoracotomy in the second intercostal space, in the mid-clavicular line, the fifth intercostal space in the mid-axillary line. A realistic training aid to practice proper needle insertion which enables built-up air pressure to escape the thorax. Ordering information: Delivered with foot pump and carrying bag, without procedural needle.